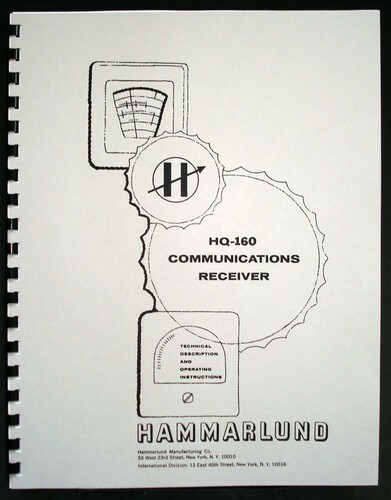 For sale is reprint of Hammarlund HQ-160 Communications Receiver Manual. 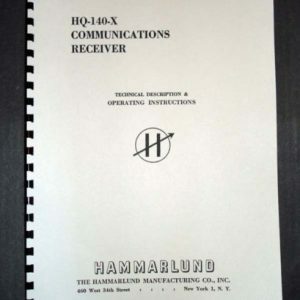 Manual is 22 Pages and includes part list and 11×17″ foldout of Circuit Diagram. 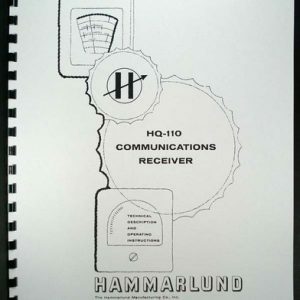 Sections on Installation, General Operation Instructions, Circuit Theory, Service and Alignment Procedure and Maintenance. 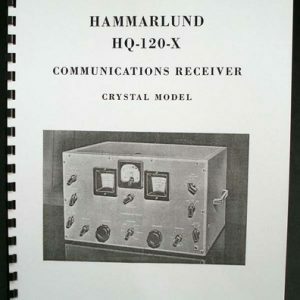 Manual includes tube socket Voltage/Resistance tables. 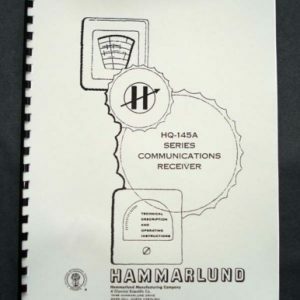 Must if you own this rare receiver.